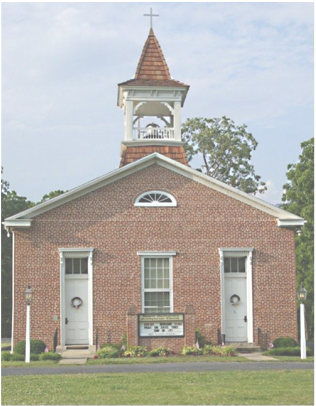 UPPER TUSCARORA PRESBYTERIAN CHURCH was organized by mostly Scotch Irish Settlers under the leadership of John Blair in 1766, ten years before our Declaration of Independence in 1776 and 21 years before the Constitution of the United States in 1787. A congregation from four counties (Juniata, Huntingdon, Franklin, and Perry counties) have worshiped here for over two hundred years, The first church was constructed of log and was located at McWilliams Cemetery in the Tuscarora Valley, near East Waterford. The second church was frame and was located towards the front of the current church. Both the log and frame churches burned down and the current Upper Tuscarora Presbyterian Church was built in 1858. Prior to the Civil War, half the congregation picked up and migrated west to Ohio.